This Third Hand Holder with a solder block will make precise soldering easy by holding parts in the exact position that you need. With amazing flexibility, these Third-Hands can twist, rotate and bend in every direction. This soldering unit combines Third-Hands with durable non-asbestos solder board. The metal base features rubber, non-skid feet. 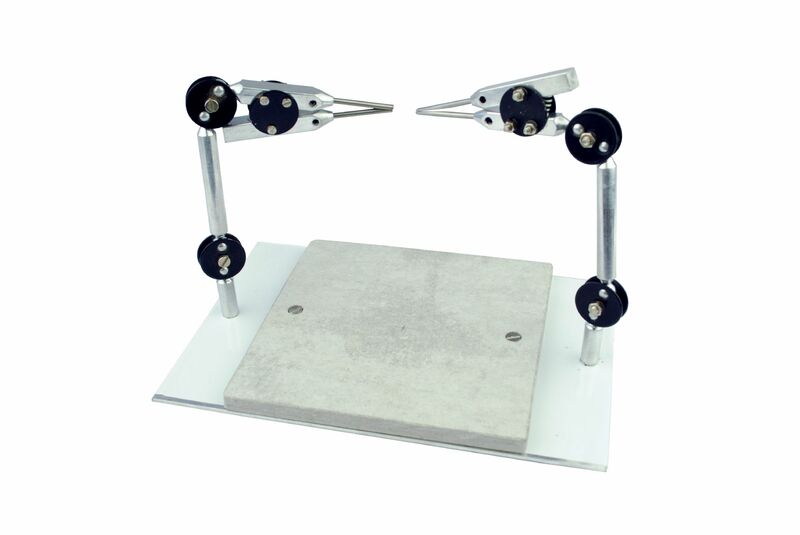 This solder block station includes two short third-hands and 6" (150mm) square solder board. The base measures 6x9 inch and the third hands approx. 8 inches long.